Residents in Barne Barton, Plymouth, now have all the information they need to achieve happiness and wellbeing in their lives, thanks to an event run for Love Barne Barton by healthcare students from across Plymouth University. The students were from a number of courses including medicine, dentistry, occupational therapy, clinical psychology, child health nursing and adult nursing. 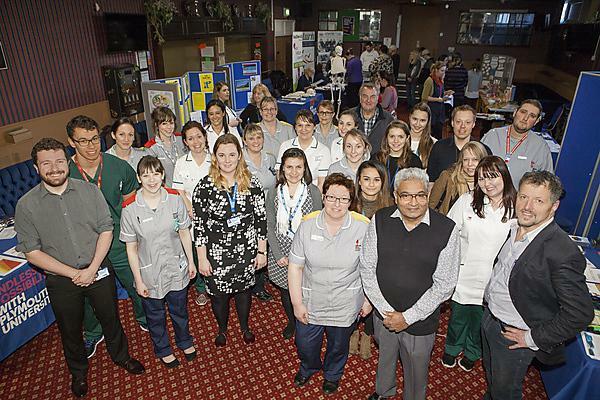 Other organisations represented at the event included The Zone, Dietetics, Health Watch and local health visitors. They contributed to the Love Barne Barton day by providing information and interactive activities around Happy Heart Leads to Happiness; Happy Eating; Happy Mind; Family-Friendly Healthy Lifestyles, and; Money Matters. The students are using the event for community-engaged research by using reflective diaries and focus groups to understand the learning value of inter-professional education and community-engagement to healthcare students.